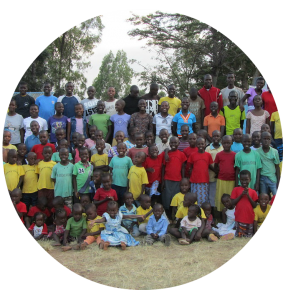 This organisation started in 2007 when Newton Atela and his wife Caroline had a strong desire to help the poor children of his community. They started with 32 children, the “Gideon Children”, whom they took into their personal mud hut home and cared for them. In 2009 we met the Gideons and our heart had compassion on them straight away. The living conditions were dire but also the children were suffering in poverty. Over the years Awaken Love has partnered with other organisations, around the world, to help rebuild this place and community. Over the past 4 years, so many changes have taken place that we are so grateful to everyone that have helped. There are now over 200 children living here permanently and 150 that attend the secondary school daily. If you would like to come and visit the Gideons Orphanage then we take teams of people every year. Contact us for more information. Many people in Kenya plant maize, beans, vegetables and fruit. Maize is the staple diet in Kenya. At the Gideon’s Orphanage there are around 25 acres of land that is full of maize, beans and vegetables. This helps support the orphanage when they can harvest it. 25 acres of maize can support the Gideons for 6 months. 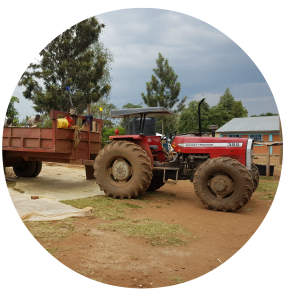 Our most recent project that we are so excited about it that we recently purchased 2 tractors that will help with ploughing the land. This will also create jobs in the village and help plough neighbouring land as well. If you would like to help plant maize, this whole process on 1 acre piece of land will cost £150. You can help the Gideons today by buying the seeds to plant. As the children are getting older at the Gideons Orphanage, the Gideons Ministry wants to help provide secondary school education for them. At the beginning of November 2013 the Secondary School was completed at the Gideons Orphanage which consists of four classrooms. This will now enable the older children at the orphanage to get higher education. This is a real blessing for this poor, rural community. There are 100 children attending this school but that number will increase as more children from the community start to attend. 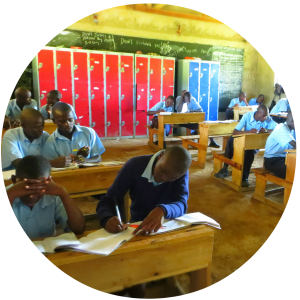 This final project will help children pass their exams and go onto further education. We have very many young Gideon children from the ages of 3-10 that need close attention. 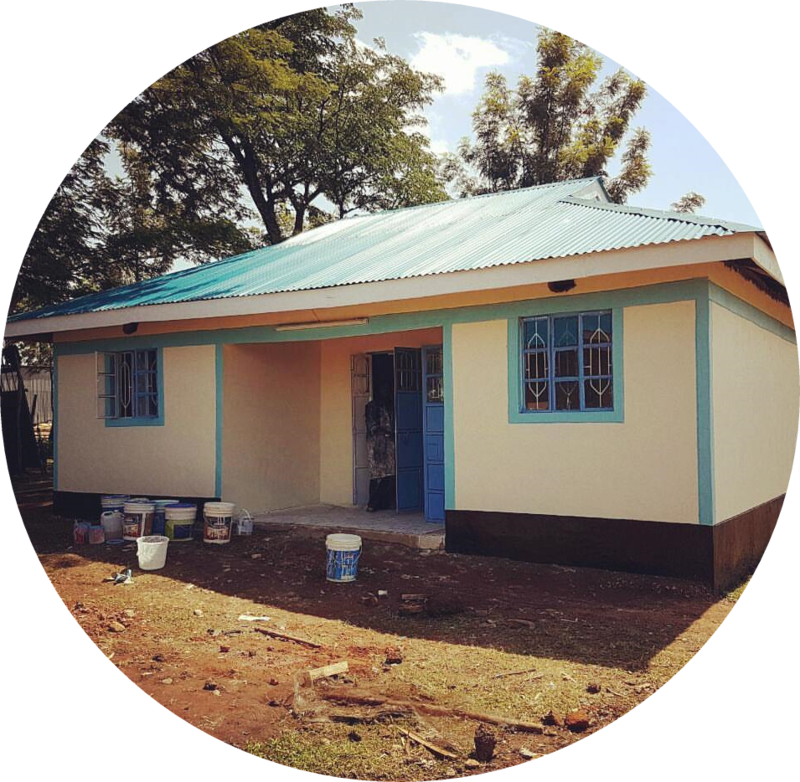 We had a dream to build 3 bedroom homes that a mother would care for the children in. We have built 5 homes and now the young children will be closely looked after by a mother.